In addition to this, lack of knowledge of parents about the importance of proper food and neglecting their children causes their children's health to get worse and for children to become obese in the society. For instance, my parents are giving us allowances to buy our food outside and that is why my sister turned obese. However others cannot stop the growth of convenient outlets because these are their livelihood and source of income. Moreover, parents cannot control the preferences of the children's taste buds which make them eager to eat processed foods than nutritious foods. Dear friends and visitors, i composed similar essay like the one above, and would like your opinion about it. Thank in advance for the help. I strongly believe that both components mentioned which are the growing of fast food counters along with parent’s attention deficit over their children's health status, could be blamed for the causes of overweight young people. In terms of fast food counters, it should not be solely pointed as the contribution factor towards this matter. The increment of cow milk consumption in toddlers, in a change from breastfeeding milk, is also in charge guilty. Research conducted on this has proven that obesity is common among babies who were given cows milk instead of being breastfed. Fast food, on the other hand, contains high fats and unsaturated fatty acids, which are hazardous for well being not only in children. Also, parents lack of attention to their children's eating habits, must also taken seriously. They must acknowledge the importance of introducing nutritious meals to children. Children under five years of age, for instance, are best given high protein food, which accounts for brain development and boosting their cognitive ability. And as for obesity, one must be alerted to its impacts on children's health status for it has been recognized as one of the major factors resulting in cardiovascular disease, diabetes and stroke. In conclusion to this essay, parent’s knowledge of healthy life styles and early introduction to this for children must be given more emphasis to help anticipate the increasing numbers of overweight young people. And in addition, governments along with society must also hold full responsibility for children's well being in general. It might be necessary in the future to create a policy controlling the opening of fast food outlets. it should not be counters, it should be fast food outlets. Counters sound like countering an argument. Modern children are suffering from the diseases that were once considered to be meant for adults only. Obesity is a major disease prevalent among children. What are the causes and what solutions can be offered? According to statistics, a high percentage of young children are being afflicted with obesity. This dreaded disease which is thought to prevail among adults becomes a problem for adults as well. It can be said that there are various factors that we can look into why such illness occurs. Primary among its causes is diet. It is only in this generation that kids are exposed to different fast foods. 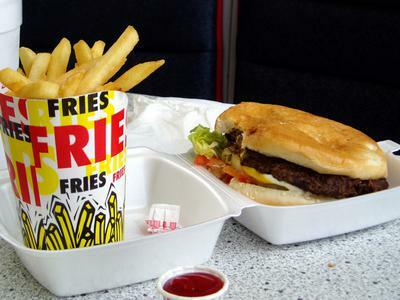 What this chains offer are all fast junk foods -low in nutritional content but saturated with fats and salt. Absurd as it may seem, children find it more appealing and delectable than eating plain green vegetables. One way to solve this is for parents to implement a stricter rule on how frequent their child can eat fast foods. They should also exert extra effort on how to introduce vegetables in the diet in a creative way. Hence, at an early age they will already know how to maintain a well balanced diet without depriving themselves of some pleasures. Another culprit that we can point out is the lack of physical activity. In the early days, you can find a lot of children playing and running along the streets but today all you can see are children attached to their tablets and eyes focused on computer screens. Instead of burning fats that ore that they accumulate it through this manner. The way for this is for parents to set a time limit on the use of gadgets and encourage their children to engage different sports. Creating a more stimulating environment wherein children can move and play around will in some ways curb their chances in being obese. Ont the final note, this increasing number of obesity among kids will not stop unless proper action must be actively taken most especially by the parents. Even at a young age it must be instilled in the young minds of these children the implications that obesity has on their health. Nowadays, obesity has been one of a major health issues among populations in many parts around the world, especially in developed countries. This essay will discussed the causes relating to a rise of overweight population and solutions to tackle with them. The prominent cause of obesity is a social transformation. In these days, business environment is becoming more competitive than in the past, which makes people have to work harder to earn money for living and survive. As a consequence, they tend to have less time to exercise. Furthermore, preparing food themselves on a daily basis can be impossible to many people as they have a tight schedule of work on weekdays, therefore, ready-to-eat meals and junk food becomes their choice of food, which they tend to loss in nutrients. Consumption in this types of food in a long-term could possibly leads to various health issues such as heart disease, diabetes, and obesity. Although these problems have caused a great threat to public health in many areas around the world, it can be tackled if these measures are taken cautiously. Governments should increased investment in nutrition promotion and educational programmes to raise awareness to public on the importance of being healthy. For instance, running a campaign to encourage people to cook food themselves instead of dependent on fast food, which home cooked meals contain more balanced in nutrients than processed food. Another approach is that governments should allocate more budgets on building facilities that are accessible to ensure healthy lifestyle of citizens. For example, build more public gyms and parks. People will be more aware to exercise when they have time. In conclusion, to decrease the number of overweight population in every countries is both a responsibility for governments and citizens. Information regarding to serious impact of getting overweight must be passed through generations to promote healthy lifestyle and increase both physical and emotional well-being to everyone. You can feedback on this child obesity essay by clicking the link below. Can anyone give some feedback on this obesity essay. The percentage of overweight children in developed countries has become very alarming. To the point that doctors and researchers have asked themselves “what is the real cause of this?” Is it the way our society eats? Well some people would say that there are two main causes for it, they are fast food outlets and parents are being pointed at as they do not have proper knowledge about nutrition for children. Fast foods are like mushrooms which grow in every countries, town and even in some villages. Fast foods like its name state is easily accessible, cooked very quickly and kids love them because they are food like burgers, fries and steak, which is very rich in proteins, but according to a dietitian this is not good for their health. A kid who eats that sort of junk food almost every day is bound to put some weight and gradually become obese. Parents known as child care takers are starting to be blamed for not looking after their children’s health. Reasons provided by parents for such behavior is because they are overwhelmed by their day job and they are unable to prepare daily lunch for their kids to eat at school. Well parents according to be are not entirely to blame for overweight children because there is also the fact that children lacks sports activities and if they eat those junk food eventually this will lead to an alarming increase in obese children. Hence taking into consideration only those two main causes, that is; fast foods and parents’ inability to look after what their children are eating is not the whole picture because of other issues like the lack of sports activities and also children not being monitored at school, thus eating anything they like from the school canteen. I am unable to get Score 7 in General witing. Please advise me some tips and tricks. 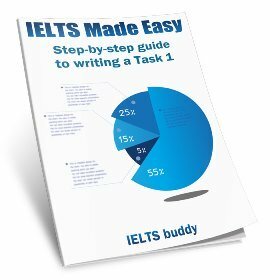 And please evaluate my Ielts essay below. What are its causes and what solutions can be offered? Obesity among children has dramatically increased over the last few years in developing countries. This is an alarming situation, which should be control at its earliest. It is a mutual responsibility of both individual and government to identify the reasons of this vulnerable disease and offer solutions to rectify it. Nowadays, the trend of hoteling drastically increased. Peoples do not like to cook at home. Children have become addicted to junk food such as burger, pizza, grilled chicken etc. One of the reasons is that both parents are working simultaneously that is why they have less time to cook at home. Furthermore, rise in technological development steadily eliminate the concept of physical routine works from our lives. Children are more opted towards computer games, mobiles and gadgets than playing any sports or doing exercises. Lack of these activities is the primary reason of obesity. In order to control this problem, physical education should be mandatory at school level. Each individual is required participate in any sports activity on daily basis for thirty to forty minutes. This will definitely improve their health and mind. Apart from that, parents should encourage their children for playing their favorite sports. In addition to this, they should be served with fruits and vegetables which is the healthy source of vitamins and irons. In conclusion, I would like to say that obesity could be controlled by changing our life style and eating habits. Parent’s attention and care could contribute a lot in this regards. The role of government cannot be neglected while addressing this issue. 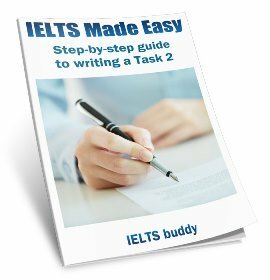 Hi, I am going to appear for ielts on 13th august. Some of the comments in this forum have made me nervous. 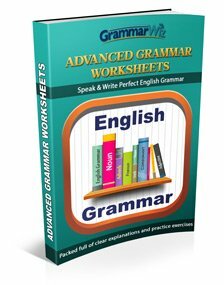 I would appreciate if anyone could give me advice on this essay. 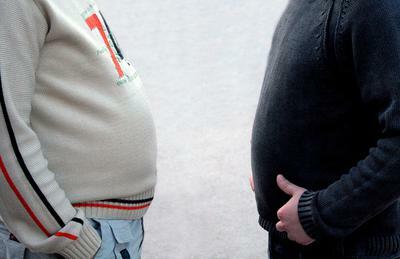 Nowadays, majority of population is getting obese. Obesity may bring out various chronic illnesses for example Diabetes, High Blood problem, Heart problem etc. Therefore, necessary steps should be taken to mitigate the detrimental effects caused by being overweight. 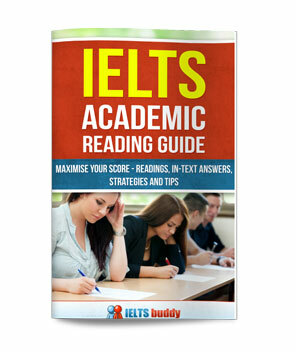 This essay will discuss the causes and suggest necessary steps to tackle this problem. First and foremost, Poor diet and sedentary lifestyle are the primary causes of making people Obese. From last few decades both men and women go to work thus, they could not spend more time at home in cooking and with kids. As a consequence, Kids and teenagers are encouraged to eat unhealthy food from outside. Moreover, Thanks to the technological advancements, today's generation like to spend more time on internet. They do not want to do exercise. IN addition, instead of going through walk or using bicycles, they like to commute through privet vehicles. Therefore, lack of physical activity make people fattier than before. However, there are several steps to overcome this serious problem. Firstly, Parents should encourage their kids to adapt healthy eating habits. This can be achieved by introducing more vegetables and fruits in their diet. Moreover, Government can also contribute by enforcing fast food outlets to serve healthy substitutes of fast foods, for instance, many restaurants in the united kingdom have started serving more healthier options. In addition, council should introduce public awareness program for improving health. Also, in schools, more physical exercises should be included in the curriculum. In Conclusion, although poor diet and sedentary lifestyle increase the risk of obesity, but by adapting healthy eating habits and doing exercise could somehow reduce the negative effects caused by obesity. Using this website for practice. I'm pretty sorted with everything except the speaking which I'm really nervous about.